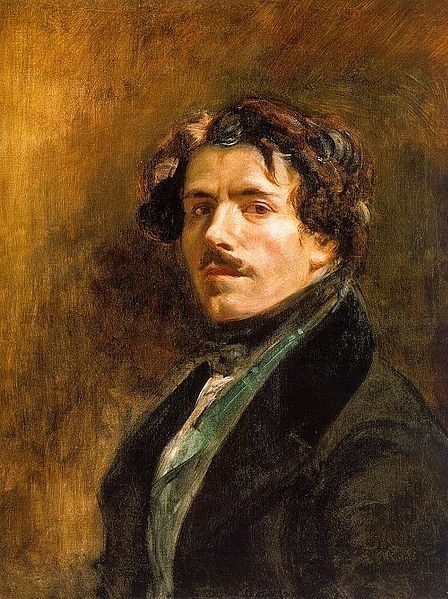 Ferdinand-Victor Eugène Delacroix, a French Romantic painter, was born on April 26, 1798 in Charenton-Saint-Maurice in France. Commonly known as Eugène Delacroix, he was named as the greatest among the French Romantic painters and his mastery of the use of colors served as a major influence in the development of Impressionism and Post-Impressionism. Most of his works were inspired by contemporary or historical events, as well as literature and his travels. The way he used color was also influential in the works of Pablo Picasso. He started taking formal art lessons at the age of 17 and pretty soon embarked on a career as an artist. Throughout his lifetime he produced over 850 paintings and a sizeable collection of lithographs, murals and drawings. “Dante and Virgil in Hell” was his first submission to the all-important Paris Salon, which could make or break the career of every budding artist during that era. That was in 1822, when he was 24 years of age. That early Delacroix already had almost perfected the technique of applying pure, unblended colors. From a distance, the effect created a unified whole, which was later adopted by the Impressionist artists of the 19th century. Two years later he submitted another entry to the Salon, called “Massacre at Chios.” The vividness of the colors made the painting such a moving image that evoked very strong emotions. It showed the massacre of 20,000 Greeks at the hands of the Turks. It was purchased for 6,000 francs by the French government. He visited England in 1825 because he was impressed by the techniques of English artists like John Constable. He also visited artists such as Richard Parkes Bonington and Thomas Lawrence. The way they handled colors became Delacroix’s inspiration for a full-length portrait of Louis-Auguste Schwiter. This was the only portrait he did where the subject was shown in full. For five years since 1827, Delacroix enjoyed plenty of success, turning out masterpiece after masterpiece. In his paintings called “The Battle oh Poitiers” and “The Battle of Nancy” he again showcased historical themes. For the “Death of Sardanapalus” that he submitted to the Salon in 1827, he drew inspiration from Lord Byron’s poetry. He showed his skill as an illustrator in the 17 lithographs he did for the French edition of “Faust,” a play by Johann Wolfgang von Goethe. He also created lithographs for the works of Walter Scott, author of Rob Roy and Ivanhoe, and the works of William Shakespeare. Delacroix was more inspired by the works of Rubens and other Venetian painters belonging to the Renaissance movement. He put more emphasis on movement and color instead of careful modeling and clear outlines. He was more inclined towards the romantic and dramatic content of his central themes, just like the classical Roman and Greek paintings. However, he was always in search of the exotic, which was brought forth when he traveled to North Africa. Delacroix was not pompous nor sentimental and although he was a Romanticist, he showed individuality. One critic said he tempestuously loved passion, and clearly expressed it with cold determination. In 1830 Delacroix was inspired by the French Revolution to create one of his most famous works, which defined the romantic ideal at that time, and the last one he did for the Romantic period of his career. The painting was titled “Liberty Guiding the People.” The boy standing beside Liberty who was holding a gun was often thought as the inspiration for the character of Gavroche in “Les Miserables,” the 1862 novel written by Victor Hugo. 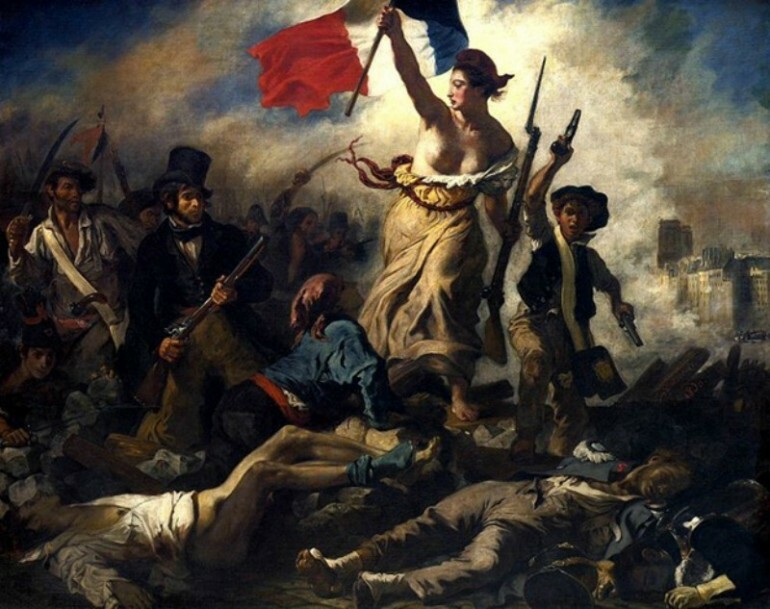 The painting was also bought by the French government although they deemed that Liberty was too glorified in the painting and it was not displayed publicly for a time. Delacroix continued to receive many commissions for ceiling paintings and murals from the government, however. When the reign of King Louis Philippe ended in 1848, his painting was finally displayed to the public by the country’s new President, Louis Napoleon, also known as Napoleon III. Formerly displayed at the Louvre, “Liberty Leading the People” can now be seen in the Louvre branch in Lens, Pas-de-Calais. Although many artists and critics derided him, for they were initially shocked by this work, he had many supporters that continued to patronize him throughout his life. He made numerous government commissions and some of his works were also bought by the French government. He was not of the same mold as many of his contemporaries. In his painting that depicted the massacre in Chios, his depiction of suffering was not grand. There was nothing monumental but rather, the viewer can see the suffering and desolation from the various details – an infant clutching at the breast of his dead mother; a hand severed from a crushed body buried beneath the rubble. These details were more poignant and moving. From 1833 until 1861, Delacroix worked on several murals for the chamber of the king at Palais Bourbon. He also did several panels for the History Museum of Versailles and the Louvre. Most of these were architectural paintings that involved long hours of work on uncomfortable scaffolding, which caused his health to suffer. In between, he took time to rest his fragile body in his countryside cottage under the very watchful eyes of Jeanne-Marie le Guillou, his housekeeper, who guarded his privacy zealously. Her devotion to Delacroix extended his life and allowed him to continue working for a few more years. Eugène Delacroix died in Paris at the age of 65.